DIYAutoTune Black Friday sale - 10% off - Miata Turbo Forum - Boost cars, acquire cats. Ready, Set, Go!!! 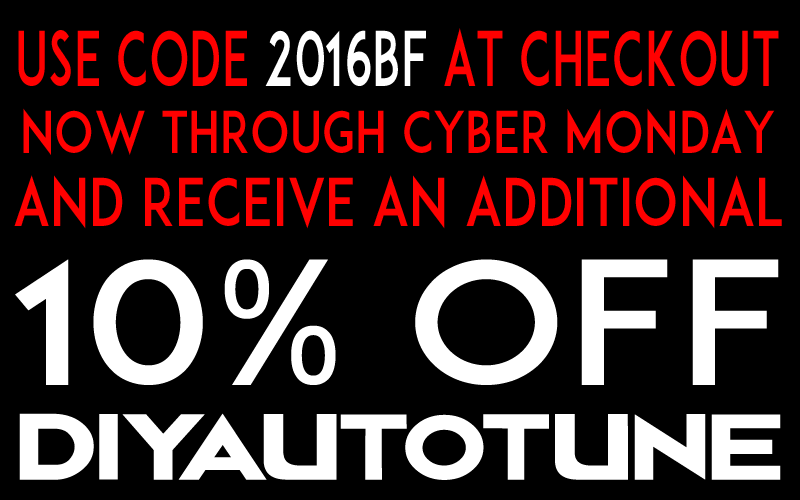 The DIYAutoTune Black Friday Sale Is Now Underway!! Take 10% OFF EVERYTHING IN THE STORE through Cyber Monday! Enter Promo Code 2016BF at checkout for a 10% discount on your order. *10% OFF 2016BF coupon is valid beginning today, Nov. 23rd at 12am EST and cannot be applied to previous orders. Black Friday Sale ends at the close of Cyber Monday, at 11:59:59 PM EST on November 28th. MS3pro and LSx PnP harness ordered! Plus a cool MS3pro hat haha. Leach0789 your dream came true!! !